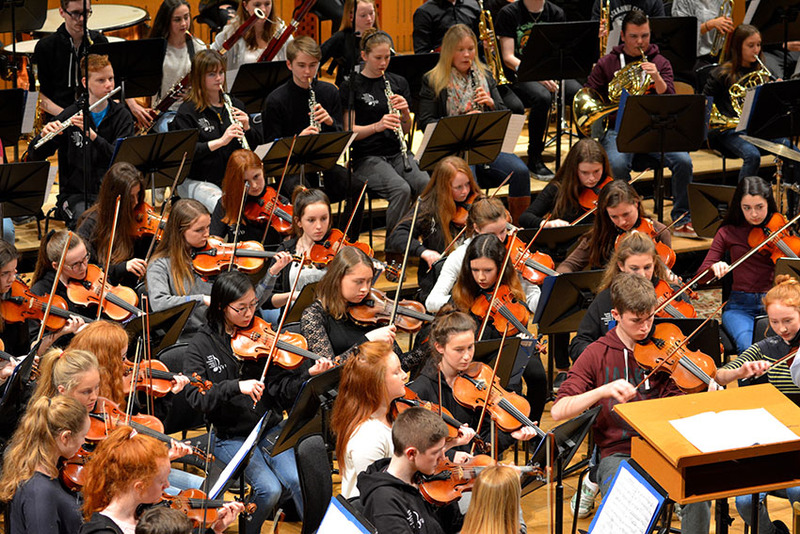 The Concert Orchestra has grown into a vibrant group of 134 young musicians, ranging in age from 13 to 16, and drawn from all over the city and county. Involvement in the Concert Orchestra is a wonderful musical experience, giving young musicians who might previously have only experienced individual training and solo performance the opportunity to experience large ensemble playing, and to make lasting friendships with like-minded young people. The Concert Orchestra boasts a very broad repertoire, including classical, jazz and popular music, so all tastes are catered to, and our young players have the opportunity to gain experience playing in a wide range of styles. The Orchestra plays an annual spring concert, which is a highlight of the year for members and their families. Every two years we also travel abroad on tour, and have made trips to France and Italy in recent years. In between these foreign tours, we try to organise an Irish tour or a concert/social event. Preparing for tours and concerts is serious business, with a series of intense rehearsals involved to help members to gain experience playing together and to introduce them to new pieces. For example, leading up to our tour to Italy at Easter 2013, four days of intense rehearsals took place during mid-term break in February, then in the week leading up to the tour we had another four days of preparation. During the seven-day tour, we had four rehearsals and four concerts. This busy schedule gave the players a real opportunity to experience what it is like to be in a professional orchestra on tour. The bonding between the players and the standard of the music rose with each rehearsal and concert. Auditions are held annually, and rehearsals take place over one weekend each month. 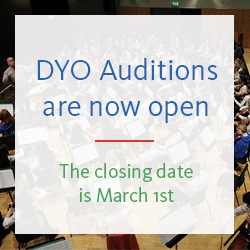 Ronan has been the conductor of Dublin Youth Orchestras – Concert Orchestra for many years and has toured extensively throughout Europe with this ensemble over the last decade. In his almost 20 years with DYO he is the only conductor to have conducted the Intermediate, Concert and Symphony orchestras. He holds an MMus in Conducting from DIT along with an LTCL for oboe teaching and an ALCM for piano performance. Ronan’s career is principally that of a conductor, but also includes teaching, composing, arranging, performing and adjudicating. Conducting engagements have brought him to France, Hungary, Belgium, Italy, the UK and the USA, with both wind ensembles and orchestras. 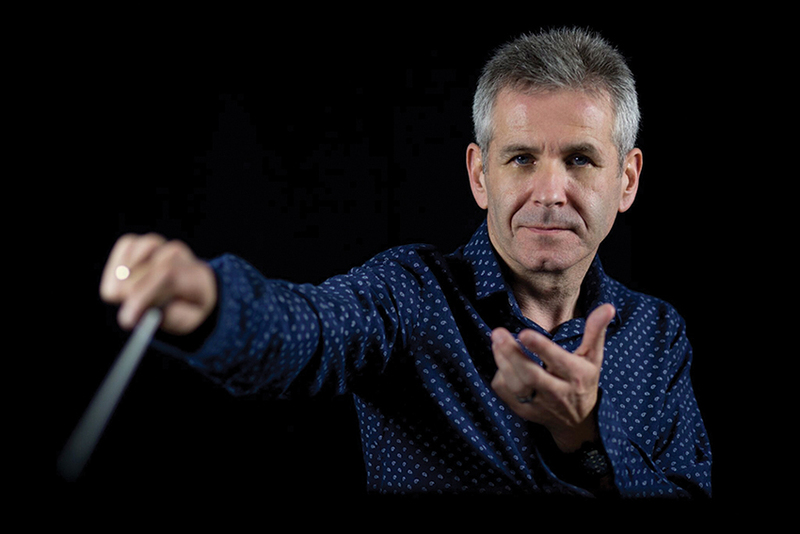 He has worked with many of the top names in Irish entertainment over the years and has conducted various ensembles including the Irish Philharmonic Orchestra, the DIT Symphony and Chamber orchestras, and the Rathmines & Rathgar Musical Society. 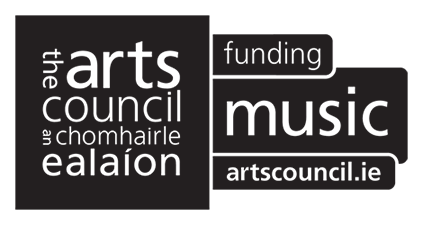 As Director of Music at the Artane School of Music, he co-ordinates and conducts, composes and arranges music for the various ensembles incorporated within the School. As well as being the Principal Conductor/ Artistic Director of the Irish Youth Wind Ensemble (Ireland’s premier wind band), he is Principal Conductor of the Greystones Orchestra, and has been the regular tutor to the National Youth Orchestras of Ireland for over a decade, acting as NYOI rehearsal conductor from time to time.